MANJIA LUO - International performing violinist / Awards pianist and composer / dancer, born in China, Live in Australia. Manjia's unique music and performance in a passionate, natural grace, ballerina style, have touched many hearts, often bring her audiences into tears of joy. At her concert, your imagination travel into the space & time. In 2013, Manjia’s piano music is the Winner of MusicOz Awards 2013 in Classical, her violin music is the ASA Awards 2013 Top 10 in Instrumental. In 2012, her piano is the ASA Awards 2012 the 4th in Instrumental , and MusicOz Awards 2012 Top 5 in Classical . In 2008, Manjia’s Violin Concert Tour to China “The Earth & Life” won the ACC Grant. In 2012, Manjia’s Piano Violin Contemporary Solo Concert “Water & Life “ at Sydney Opera House. Manjia has released more than 15 CDs & 2 HD DVDs and conduct hundreds solo concerts in Public & Private since 2005. In 2013, Manjia’s CD “Sleeping Beauty” was played at Qantas Airline. Manjia Music presents very unique fresh music style - inspiring, healing, relaxing , meditating - particularly, her high vibe piano violin contempporary music is best for mind relaxing and study concentration, as well as anti - depresion etc. Her genuine femele music also truly help to achieve ideal slim fitness and healthy life style. Manjia's CDs also best suit to massage, healing / beauty therapy, meditation, and office background music etc. 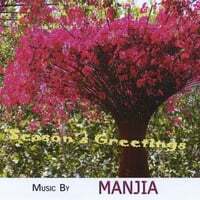 Manjia Music – meet your life style in 4 seasons. RadioIndy is pleased to announced that we have published our CD Review of MANJIA LUO - MANJIA MUSIC music to CD Baby. FANS - Please checkout MANJIA LUO - MANJIA MUSIC online! FANS - Please checkout MANJIA LUO - MANJIA MUSIC page and sample / purchase some great new music! FANS - Please checkout MANJIA LUO - MANJIA MUSIC iTunes page play / purchase some great new music! "Season's Greetings" Reviewed by RadioIndy.com! Manjia Luo's latest release is a holiday-themed album called "Season's Greetings." However, it is not an album filled with your traditional Christmas songs. Instead, it contains a mix of original pieces that express holiday cheer through a tranquil mixing of Western and Eastern sounds. "Seasons's Greetings" is a placid and calming song with beautiful harp playing that comes off as a holiday number, even though it is not one you would have known before. "Tranquil Mood" is a wonderful piano piece featuring playing that evokes the full range of the instrument. "Back to Childhood" is a song that mixes Eastern and Western influences in its use of violin, beautifully telling a wordless story through melody alone. Manjia Luo's "Season's Greetings” explores the quieter and more peaceful side of holiday-inspired music with grace and delicacy. It’s perfect for those who enjoy new-age relaxation music, or for those who would like excellent background music for a warm winter’s get-together. This album is not traditional carols, but it adds more holiday mood during Christamas season, and through all the seasons in new year. The album is perfect mixed by western instrumental sounds with eastern melodies - beautiful and imaginative.